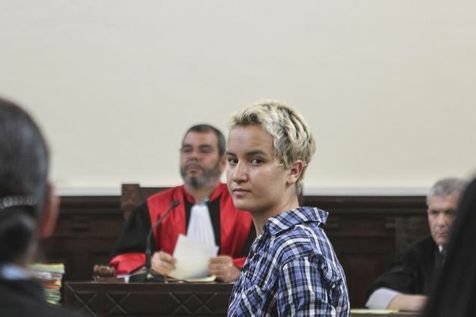 A young Tunisia, arrested and released in early August, leaves the movement but not her fight. The young woman did not prevent the FEMEN its decision before this interview. The leader of the movement, Inna Shevchenko, interviewed by Liberation, said she is not surprised. “We knew that the prison broke Amina. It is common for a person under pressure down the arms and to distance. Other FEMEN activists who were arrested had the same reaction. ” Militant regrets Amina has “betrayed the thousands of women in several countries that have désabillées to support during the campaign” Free Amina ” who clashed with Islamist representatives for her. It is thanks to this campaign Amina is out of jail. ” Inna Shevchenko particularly concerned Amina do not play the Islamists: “Now they can use the decision she regrets to say and use it against other women in Muslim countries. ” The FEMEN have always rejected the repeated accusations of Islamophobia, claiming such a move “atheist, against all religions, against all their principles involving the rights and freedoms of women ” . Posted on August 22, 2013, in North Africa and tagged Anarcha-Feminism, FEMEN, Tunisia, Women's Rights. Bookmark the permalink. 2 Comments.